Sunset View Hotel, one of the best hotels in Paros, it has been built amphitheatrically above the town of Parikia , in a unique traditional island style. The family hotel offers a pleasant stay with a variety of amenities. Only 10 minutes from the port but away from the noise of the center, 9 km from Naoussa and a junction point for the other villages and beaches. The quiet atmosphere and aesthetic quality, make your holiday at Sunset View Hotel, a highly wonderful experience. Sunset View Hotel is built on a small cliff with easy access. Therefore, the view from our accommodation is just stunning. 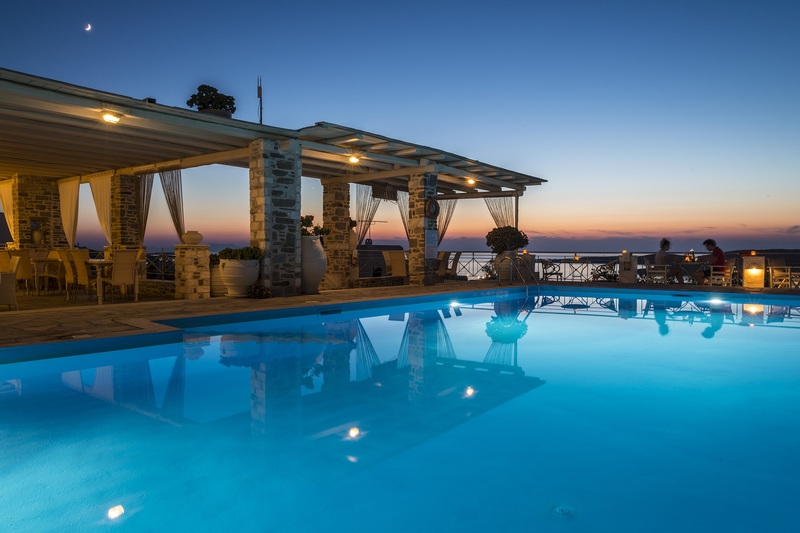 You will enjoy not only the panoramic view of Parikia Bay, but also the view of distant islands. Cycladic “feeling” is added by the view of the ships, arriving in Paros main port and of sailing boats, docked in Parikia Bay. The contrast between the Aegean blue and white houses almost touching the sea is a charming sight, found only in Cyclades. With the view of two islets outside of the bay, the eye journey starts toward Sifnos and Serifos islands. They are called Portes and are considered as the “signature” of Paros. 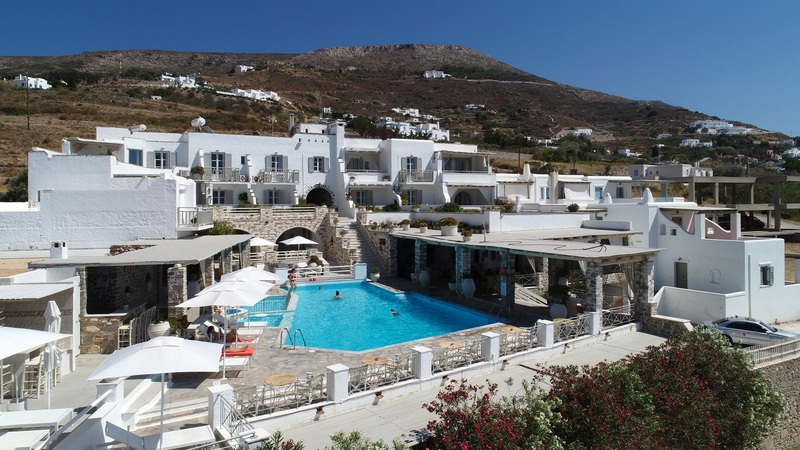 You will also enjoy the view of few beaches from our Parikia hotel. Livadia beach located nearby, the well-known Marcello and Krios, reveal themselves before you. 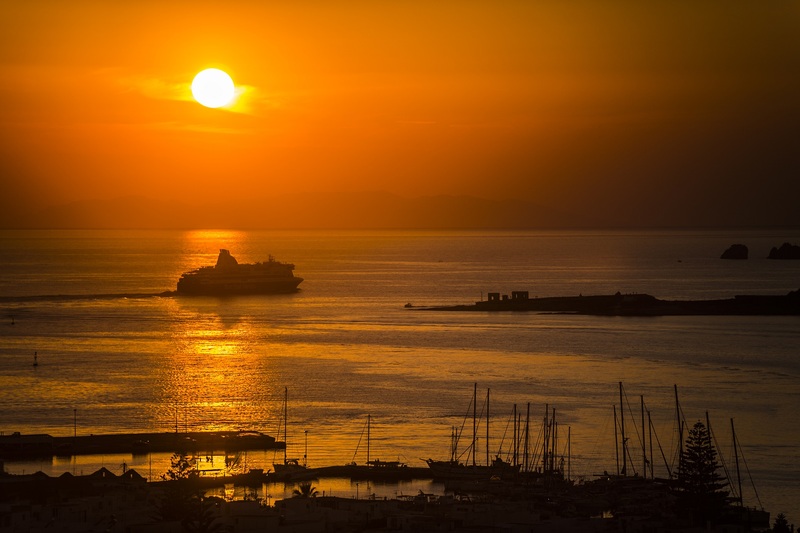 Due to our location, our gem offers the best sunset view among Paros hotels. You will enjoy it from our facilities, as well as from most of our rooms. Nothing can be compared with the display of rainbow colours before you, as the sun is disappearing below the horizon of Aegean Sea. 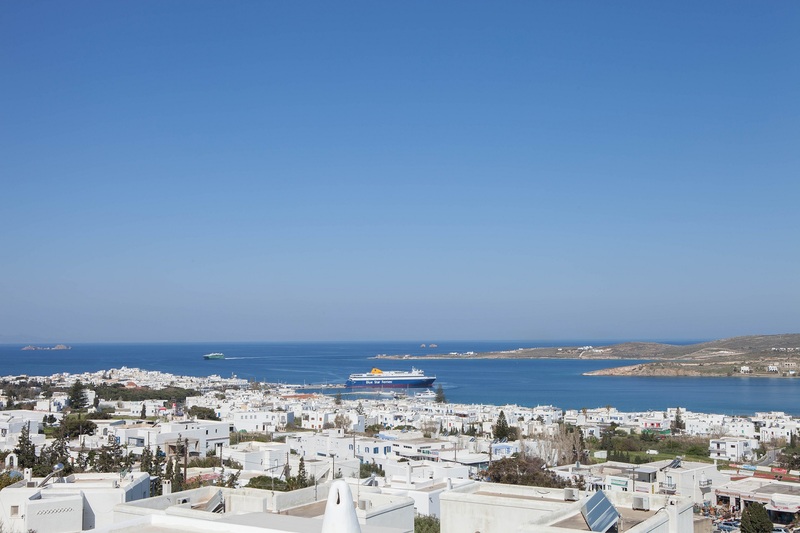 This experience will definitely be the highlight of your vacation in Paros. In Sunset View Hotel, we know how important family vacation is. Therefore, we created a variety of family rooms, in order to accommodate you and your children with comfort. Every member of our team is inspired to be a unique host and to assist you, in order for you to have unforgettable stay with your family on our island. We made our environment as safe as possible for children. Therefore, parents can be more relaxed and enjoy themselves. Livadia is the main beach of Parikia. 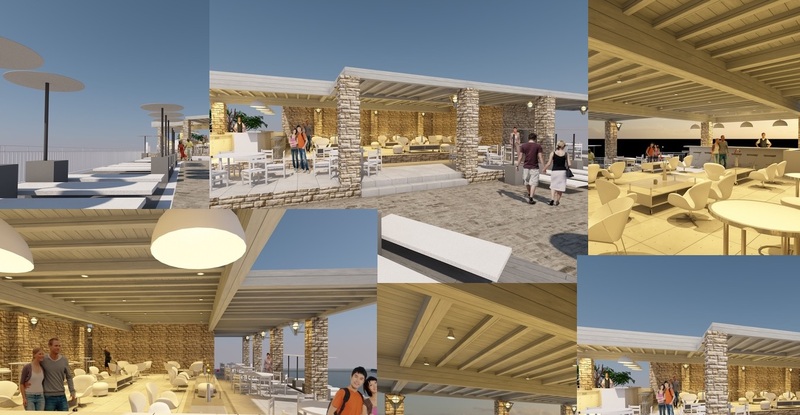 It feature sunbeds, umbrellas, volleyball court and water sports center. You will find many restaurants, taverns and cafes nearby. Livadia consists of sand and few pebbles. It’s quite popular among visitors of Paros and local residents. This is the perfect choice for a quick, early swim, before you start exploring the beauty of Paros. As it is near our hotel, it can also be you final stop before the sunset.